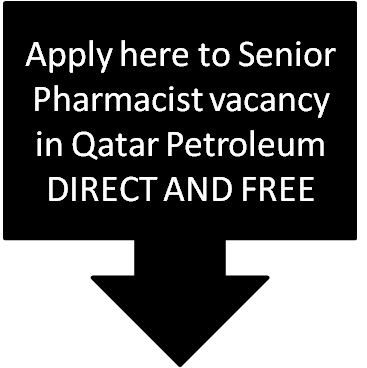 Dear Pharmacists, There is no need to explain about Qatar Petroleum and its world renowned healthcare facilities. The richest organisation in the world with high end job profile and great remuneration. There is a vacancy for Senior Pharmacist in this great organisation. After reading this, you may find the CLICK here link and apply direct. 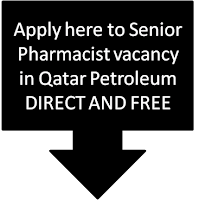 ​As they mention in their website, the primary purpose of the this job is to oversee all aspects of Pharmacy Services provided in the QP Medical Services Centres in allocated region, i.e. Doha, Mesaieed, Dukhan, Ras Laffan and Offshore and approved Joint Ventures.